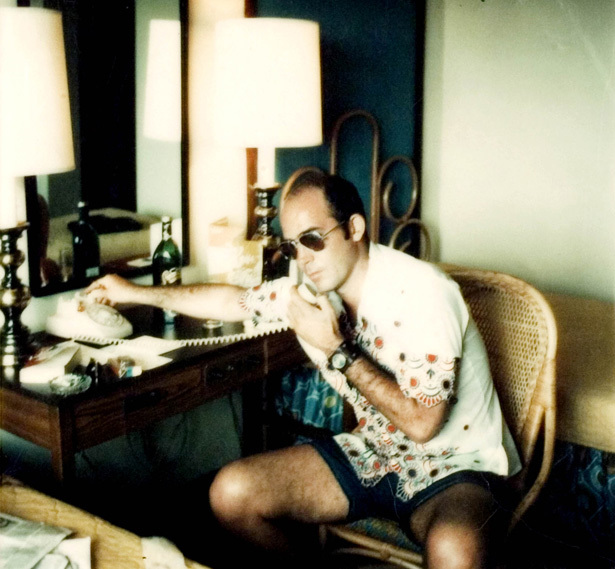 Before “Fear and Loathing,” “Hell’s Angels” and pioneering “Gonzo journalism,” Hunter S. Thompson was just a strapping young journalist committed to the craft. As he is indicted into the 2014 Kentucky Journalism Hall of Fame today, let us remember his humble beginnings. Beginnings that may seem familiar to many junior journalists today. Atlantic writer, Brian Kevin, set out to chronicle some of Thompson’s earlier work to prove he was more traditional than many tend to believe. We learn that as an apprentice he traveled the Western Hemisphere churning out travel guides, straight news stories, book reviews and essays—anything he could get his hands on. Thompson positioned himself as a jack of all beats. During his time as a freelancer he experienced, absorbed, learned and practiced. What more could you ask of an aspiring journalist? And so, Kevin yearns to make it known that Thompson’s reputation cannot be derived solely from his Rolling Stone years—he became the journalist he did because of the years he spent practicing and perfecting his specialized craft. The lesson to be learned? Even the greatest journalists start small-scale. Still, they start with zeal and curiosity. And often, like Thompson, use their talent and training to champion a personal, unique voice that echoes for generations.